OC Robotics is pleased to introduce the Series II – X125 system. This Series II – X125 system builds upon the successful JetSnake product deployed on the Miami port tunnel Boring machine. 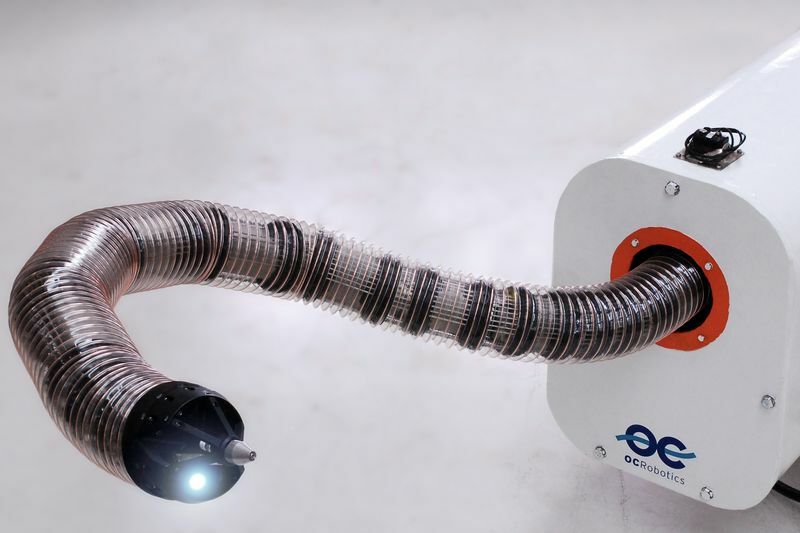 The Series II – X125 system robot arm, or snake-like parts is 2.2m long and delivers a 6kg payload, the arms can bend over 225 degrees and features a highly flexible tip that and can bend and twist like a serpent. The 2.2m arm has passed a series of extended operational tests and has been designed for increased reliability and easy maintenance to reduce life costs. This particular Series II – X125 system has been successfully deployed in a high-pressure water jet and features an inspection camera. Different tools can be selected to compliments the snake-arm, depending on the application. It moves like something out of a science fiction movie and is very impressive. The Series II – X125 system is designed to be used in situations like nuclear reactors and even in chemical plants. It can carry all sorts of tools ranging from water hoses to cutting torches. You can see the robotic-snake-arm in action, in the video below. Video: Top 5 Ios 11 Features!